 500 lb. load rating. 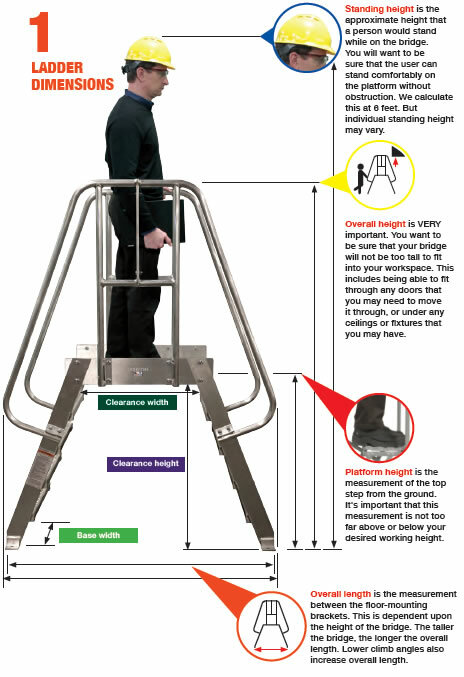  50° climb angle, with 8" step rise. 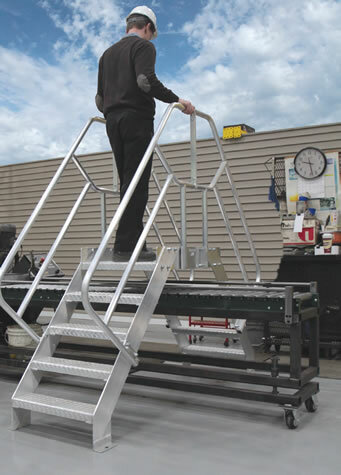  Stair sections have 24 1/8" wide x 7" deep steps.  Legs have floor mounting plate with 5/8" diameter hole. 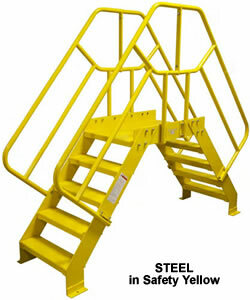  Serrated or Diamond Plate steps.  Gray powder coat finish is standard on steel models. 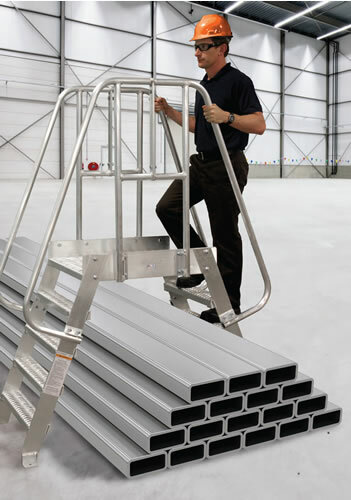 Aluminum is a brightened, uniform finish. Number of steps is the number of steps on each side, including platform. 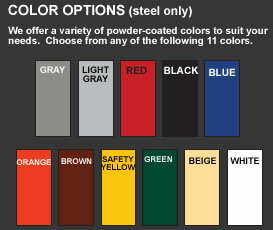 Note: Gray powder coat finish is standard on steel models (see color chart above for color options). 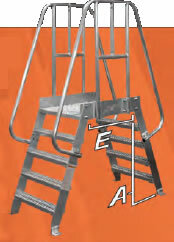  70° climb angle, with 8" step rise. 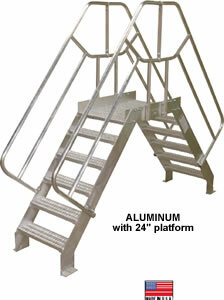  42" Handrails, constructed of 1 1/2" diameter round tube. 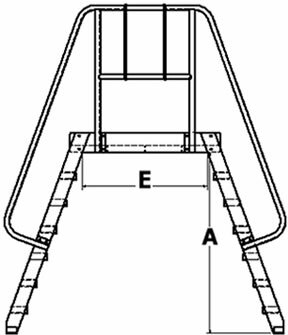  Stair sections have 24 1/8" wide x 4 7/8" deep steps. 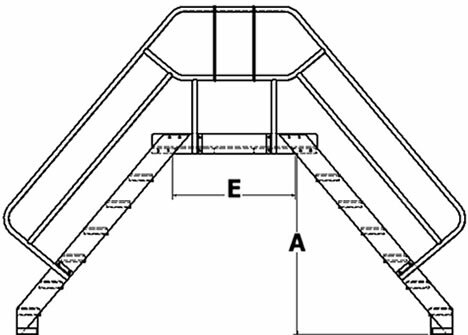 Bridge, check federal, state and local codes.